St Mellion is a unique blend of contemporary style, exceptional facilities, true golfing heritage and wonderful Cornish hospitality. The Resort boasts a stunning AA 4* 80-bedroom hotel, Health Club & Spa, a variety of dining experiences from the simple to the elegant in our award winning Restaurant. 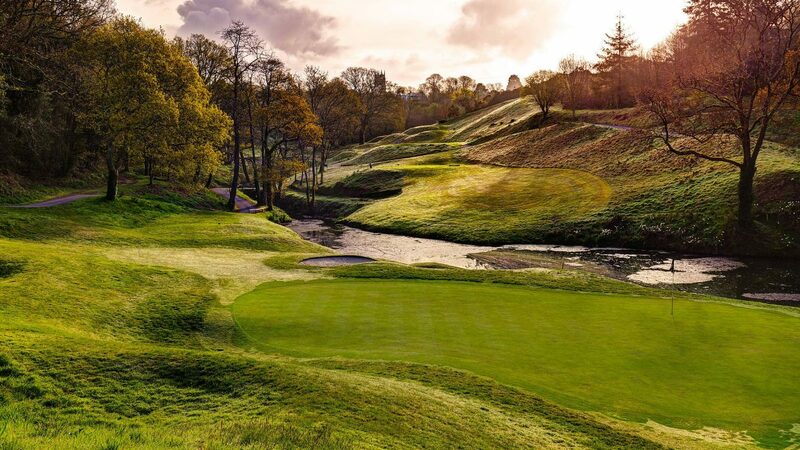 For golfers St Mellion is renowned as one of the finest golf venues, which was recognised by the European Tour having the privilege of hosting 12 European Tour events. St Mellion has also been voted “Best Resort in the West” recognised by the golfing press and more importantly by club golfers. The Nicklaus Signature Course is one of the finest golf courses in the UK. It was the first European course personally designed by Jack Nicklaus who was quoted saying “I knew it was going to be good, but not this good…it’s everything I hoped for and more”. Even for Nicklaus the course is unique, at 6,300 yards it is not a long course but inspired by Augusta he created a UK version of Amen Corner with holes 10 through to 13 quite brilliant both to play and look at. For the golfer St Mellion should be on everyone’s “Bucket List”. Low Season Groups of 8+ from £20 (Kernow Course) & £30 (Nicklaus Course) including coffee & bacon roll. High Season Groups of 8+ from £40 (Kernow Course) & £60 (Nicklaus Course) including coffee & bacon roll and a 1-course meal. Located just of the A388 on the Devon/Cornwall border just 20-minutes from Plymouth. Low Season rates from £20 (Kernow Course) & £25 (Nicklaus Course). High Season - Kernow Course rates from £16 to £50 & Nicklaus Course from £25 to £100. Off Peak tee times available before 8am and after 2pm. Stay at St Mellion from £99 for a 1-night stay including dinner, bed & breakfast and a round of golf on each course. For 2-nights including dinner, bed & breakfast and 3-rounds of golf from £189. For groups of 12+ there is a Free Organiser Place! And for 16+ a 4-ball voucher for the course of your choice. Pro Shop, Range, Academy, Short Course, 60 Buggies, Electric & Pull Trolleys, Health Club & Spa – Near to St Mellion you can visit the Eden Project, Padstow or numerous beaches.